A park is planned at the intersection of Westlake and Lenora streets, along with skyscrapers. The Seattle Office of Arts & Culture is looking for an artist or two to make art for the planned Westlake & Lenora Park in the Denny Triangle. 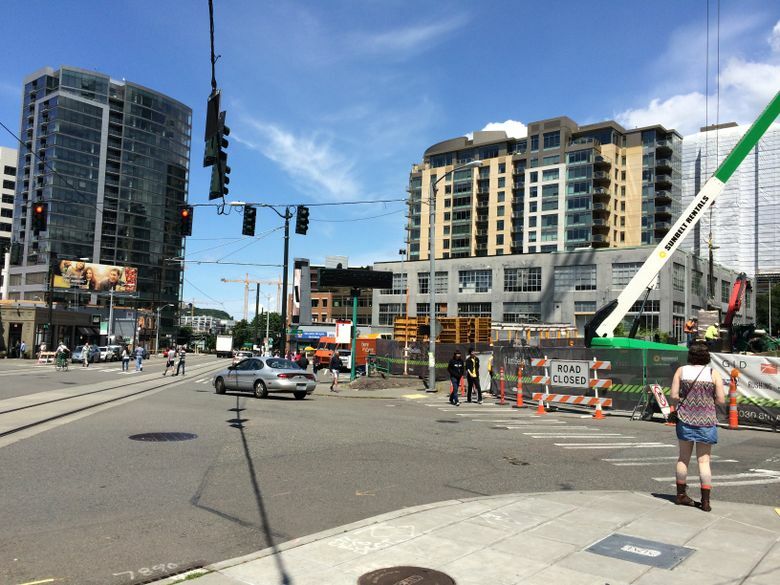 Attention artists: Tired of the homogenous construction going on in the booming South Lake Union/Denny Triangle? The Seattle Office of Arts & Culture will commission an artist, or a team of two artists, to design and install outdoor artwork for the planned Westlake & Lenora Park in the Denny Triangle neighborhood (2100 Westlake Ave., where the old Enterprise office was). The winning artist(s) will receive of $110,000 to work with the park design team and create site-integrated artwork for the benefit of those in the park and those just passing by. Arts & Culture is looking for a submission that “frames an experience, promotes discovery, and/or defines a space or activity in the park.” Additionally, the artwork should be reflective of the Denny Triangle neighborhood and grab the attention of those commuting on a Metro bus or SLU streetcar. The application (callforentry.org/festivals) is open to all professional artists living in the U.S., and will be due by 11 p.m. Jan. 12, 2016. The park will be less than 10,000 square feet but will include seating, play elements, and spaces for performances and vendors. Construction is to begin at the start of 2018.